After years of trying to explain my book, Gaming at the Edge, in a sound byte, I eventually boiled it down to the following: 1) players don’t care that much about representation in games, and 2) that’s a good argument for more diversity in games. In truth, this was actually a bit of a lie on my part. In my research I have found not so much that people don't care about representation, but rather they don’t always care in the way they are often expected to care. It is expected, for example, that people who are members of marginalized groups should care about how people “like them” are represented in media texts. My interviewees, however, spoke of representation as “nice when it happens.” They pointed to the many ways representation doesn’t matter in games and described the nuanced ways it came to matter. By focusing on when representation of social groups matters, we gain better insight into precisely where contemporary games are lacking diversity. 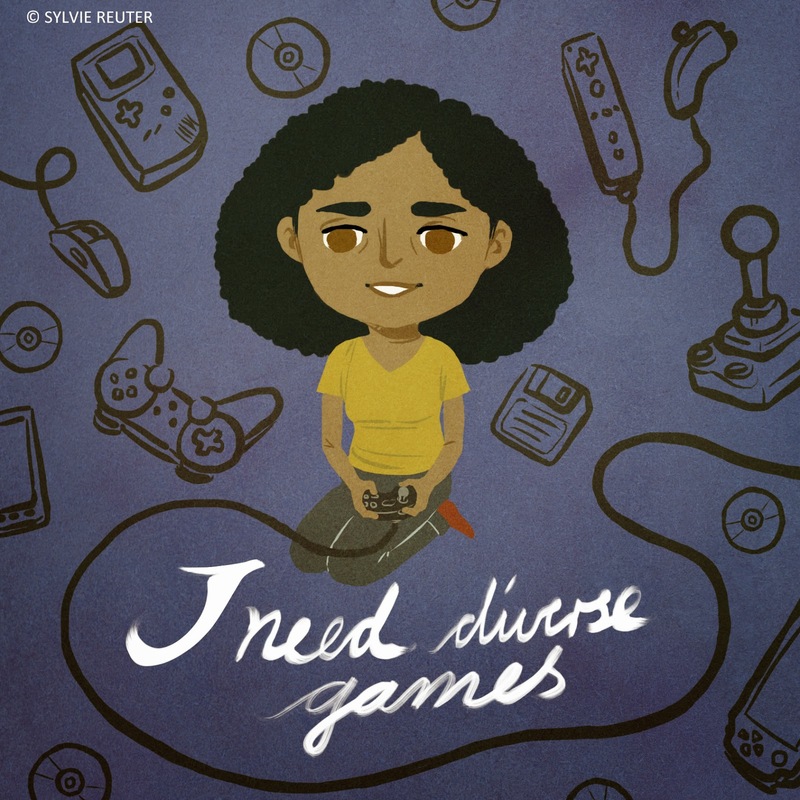 A perfect example of focusing on when and how representation matters can be found in posts to the hashtag #INeedDiverseGames (INDG). The hashtag and subsequent Tumblr community were started in October 2014 by Tanya DePass because, as she puts it, “I am tired of not seeing myself in the games I have spent many years playing.” DePass’s point might seem counter to the ambivalence expressed by many of my interviewees, as her view on representation is more politicized than many people I spoke to. However, what subsequent interviews with her represent is that DePass feels emboldened to demand things from video games that many people I interviewed did not because they felt like the industry wasn’t “for them” or “targeting them.” As I’ve said in the past, game content alone will not ameliorate the representational issues in video games or lure new people into game culture. Rather, people need to be in a position where they feel the right to demand representation from games. And based on the amazingly positive response to INDG, more and more people are feeling that right. Moreover, as many of my interviewees also did, members of the INDG community talk about representation that crosses axes of identity and of the importance of representation and diversity in a cumulative sense. The hashtag, if I might anthropomorphize it for a moment, assumes representation matters; it doesn’t feel the need to make a case for it. As the INDG Paetron page puts it: #INeedDiverseGames because there’s room for everyone at the table. Of course, like any calls for diversity in games since the game industry began, almost as soon as INDG started, people began tweeting negative reactions to the hashtag. Many of these disparaging tweets included another hashtag making the news in Fall 2014, #GamerGate (GG), despite the fact that INDG began without any reference to GG. Two common refrains in these tweets: “if you don’t like the games don’t play them,” or lists and images of all the non-white, non-cisgendered male, non-heterosexual characters in games meant to demonstrate that games are already diverse. The former represents the common neoliberal logic that demand drives cultural production and that consumers should vote with their dollars if they are unhappy with the end result. The later represents a common misunderstanding of the politics of representation and insists there is some magic quota by which true representation will be achieved and the diversity badge will be unlocked. A third theme was the insistence that people “make their own games.” It is not an inherently bad thing to encourage more people to use the tools available to them to make their own games. However, to pretend that there are no structural inequalities in who gets to make games (even indie games) is very shortsighted. Troy L. Wiggins explores this in in depth in his blog afrofantasy. I, for one, would not enjoy having to make all the games I play just because I am often disappointed in what already exists (my day job keeps me a little too busy for that). We can do better, though. We can acknowledge and help alleviate those structural barriers to cultural production. We can also insist that creators look more critically at their own design decisions. At a conference this past fall, I listened to a panel discussion about gender representation in games that included people from the games industry and academia. People brought up many of the same problems that feminists in games have been discussing for well over twenty years: the lack of diversity in the industry; the growing number and diversity of people who play any sort of digital games; the dynamics of online game culture, in particular, that make people feel unwelcomed in gaming; and the difficulty of representation and inclusion from a design stand point. These conversations have been going on for so long, in fact, it sometimes feels like being a feminist game scholar is an exercise in futility. Many of us joked, as our work became the subject of scorn by a particular subset of gaming culture, that the entire claim that we were conspiring to destroy games presumed that our work had had any effect whatsoever. Towards the end of the panel, the moderator asked when we would have to stop having these conversations. I said then, and I’ll say it again now: the goal of discussing representation in games is not to achieve perfection, it is to make us all actively reflect on the worlds we are making and consuming and acknowledge what is being left out. Arguments for representation in games focused for a long time on demonstrating the industry was missing potential markets or by using fears of media effects to add a moral component to demands for diversity. Both arguments miss, however, a much harder to measure reason representation matters: diversity makes material a wider variety of ways of being in the world. Critique is not censorship; it is a request that you do better next time. And when we reflect on the shape of games, the industry, and game studies, we can see small ways in which the conversations started by feminists, queer activists, and racial justice activists (and the intersections between those and other movements), within and outside the industry have made an impact. But as embodied in INDG, it is clear that there is more that can be done. More than that, there are people who have very precise ideas about what can be done! They just need to be listened to and supported. 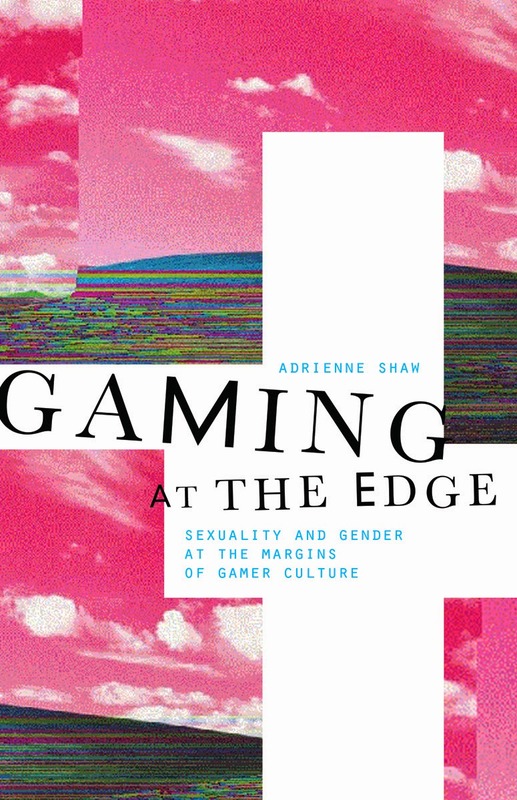 Adrienne Shaw is assistant professor of media studies and production at Temple University and the author of Gaming at the Edge: Sexuality and Gender at the Margins of Gamer Culture.